Last edited by DreamensioN; Sep 23rd, 2010 at 08:35. Profile: Label owned by Chris & Luke. 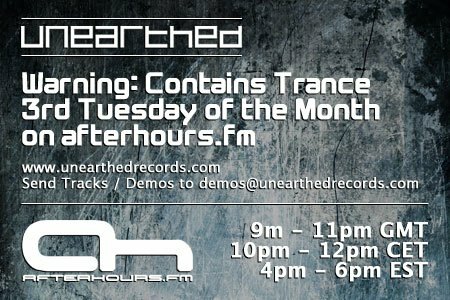 Some awesome fresh Unearthed tracks this week, a guestmix from Ryan Mendoza & exclusive play of my new track! Tuned and waiting. Should be an awesome show this week. Im tuned in once again!! Helllllooooo!! Hey everyone :D How's it going? Hello there Sergey!! Love the Merged Waves track mate!